Medical:: Tricuspit Atresia, server Pulmonary Stenosis, Juvenile arthritis. 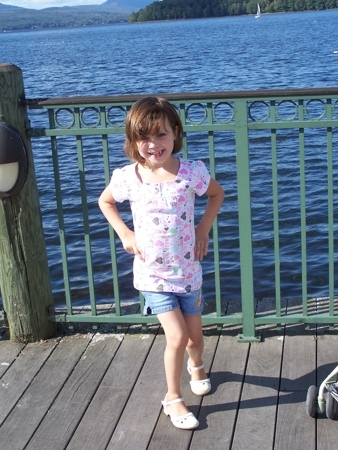 Cheyenne was born September 4,2003 in Vermont, and she was diagnosed with Tricuspid Atresia at 1 day old. She had her BT shunt placed at Boston Children’s Hospital at 4 days of age, and required ECMO for 4 days following. She came home with me in October of 2003. She had a cath in Februrary 2004, and her cardiologist diagnosed her with pulmonary vein stenosis, which was addressed at her Glenn surgery in Boston March 25, 2004. After a 6 day hospital stay, she came home and had a beautiful summer of milestones and precious memories. She is now a vibrant 18 month old who enjoys the wonders of her childhood. She has been recently diagnosed with juvenile arthritis, but has responded well to treatment. Each day we have together is a precious gift, and I thank God for blessing me with her presence.